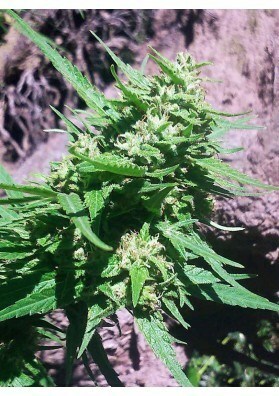 American Beauty is a hybrid feminized Marijuana and the the favorite of Dr Underground. Now and after a recovery work this strain is again available for you. American Beauty is very powerful becoming very high with the use of bio-stimulants. American Beauty is a hybrid feminized Marijuana and the the favorite of Dr Underground, which decided to uncatalogue it years ago when it was called Plushberry. Obsessed by losing one of their favorite varieties, the team of Dr. Underground managed to recover it and they succeed it! American Beauty is a balanced hybrid plant that develops several side branches with leaves showing different shades of an usual green color. Do not panic if during the vegetative growth phase the tips slightly bent upward, this is a normal feature in this strain and with the passage of time they will normalize. American Beauty can show two different phenotypes, one of them corresponds to the yigh-yielder phenotype not showing unusual colors in the leaves and remaining clearly green. The other phenotype is the one who gives the pretty colors. Both can be grown in a cheerful way, being highly resistant to fungal attacks. The flowering period of American Beauty in a growing room lasts 8 or 9 weeks while in the garden the plants can be harvested in late September for the Northern hemisphere or in late March for the Southern hemisphere. The yields of American Beauty are high, producing 0.9 grams per watt on indoors with the hydroponic system. 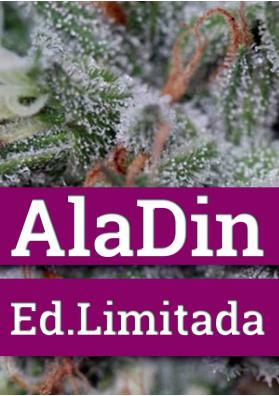 The outdoor production can reach one kilo and two hundred grams of dry buds. 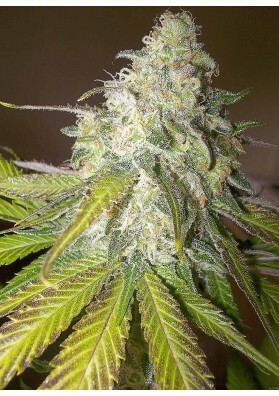 American Beauty harbors organoleptic properties that range from the typical Kush and candy flavors and hints of pineapple reminiscent from Cindirella 99. American Beauty is very powerful becoming very high with the use of bio-stimulants. Production: Up to 0.9 grams per watt indoors. 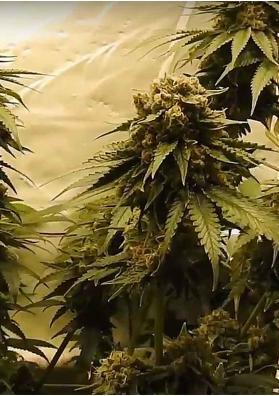 Up to 1200 grams per plant outdoors.